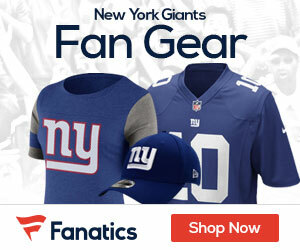 As NFL fans across the country are just a little over a month away from the NFL Draft, New York Giants fans are really getting crazy as to whom their beloved team will be taking to help propel the squad from the forgettable 2013 campaign. With team needs firmly focused upon, I have prepared a preliminary New York Giant Mock Draft to look at before May 8th. Enjoy. With the first round pick for the New York Giants, Jerry Reese will ultimately take Eric Ebron, the ultra-athletic TE out of North Carolina. Eli Manning was without a go-to option in the passing game as Victor Cruz was consistently being double teamed with a lack of other talent amongst the receiver position. With arguably the best TE prospect in years, the two-time Super Bowl MVP will finally have the safety valve he’s been dying for on the field, and will take pressure off Cruz while providing a more open field for the ascending Jerrel Jernigan. Wow. With the need of Quarterback and offensive talent across the board in the NFL, one of the premier defensive talents slips all the way down into the middle of the second round. To put the pick in perspective, Timmy Jernigan was slotted as a potential pick with the Giants first round selection back in the beginning of March on some Mock Drafts. With that being said, the defensive line is one of the glaring weaknesses on the revamped Giants defense, and with the losses of Linval Joseph and Justin Tuck, playmakers are needed to stuff up the front line to slow down the running game and get pressure on the opposing quarterback. Another slipping prospect in the Draft, Trevor Reilly will provide a capable Right End to fill in for Justin Tuck, who decided to take his talents across the country to Oakland. While not a prolific pass-rusher, Reilly has a knack for keeping pressure on the quarterback, and has great ability at slowing down the run game while on the field. Jason Pierre-Paul will have a capable partner at the Defensive End position during his final year of his rookie contract, where he will look to provide the spark shown just a couple years ago. And back to the offensive side of the ball. The partner-in-crime to Clemson star Sammy Watkins, Martavis Bryant brings big play potential with his large hands and 6’5″, 200 pound frame. While he has had a case of the “dropsies”, the Giants will be looking for a WR that can step right in this season and provide a spark along with Victor Cruz, and ownership seems to be losing hope in Rueben Randle. Bryant presents great value in Round 4. Yes, the Giants did just go out and pay J.D. Walton $3 million, but with his injury history in the past, you just can’t be too sure. Tyler Larsen was consistently one of the best centers in college football, and was nominated for the Rimington Trophy in 2013, which is given to the best center in NCAA Football. While he may not start right away, Giants fans may very well see Larsen snapping to Manning in MetLife Stadium more often than not in 2014. With the compensatory pick awarded to the Giants, Perry Fewell will push to select Alabama DE Jeoffery Pagan because of his huge body and ability to make big tackles. At 6’4″ and 291 pounds, Pagan would provide another big body that has shown he can play with the best of them in the SEC, regarded as the NFL of college football. Though unlikely to play much in 2014, Pagan provides a solid backup option that can be productive both at DT and DE. With the last selection for the Giants in the 2014 NFL Draft, Reese will select another interior lineman in hopes to provide a backup to Chris Snee, a very capable guard that has injury concerns for the upcoming season. Jon Halapio was a very solid Guard at Florida, and would be a decent fallback if Snee can’t make it through the season. Christian Nelson is a writer for Giants Gab. Check out his Google+ to read more of his articles on New York Giants football. I would like to see the Giants grab a LT with their first round selection, someone who can come in and challenge immediately for the starting LT position. I would have the Giants sign a veteran type TE that might be available in the Post June 1st FA phase. Second Round I go for a DE as opposed to a DT and on the 3rd round I go for an OG as opposed to a DE. My DE selection must be able to immediately fit into the Giants DE rotation. By losing Tuck and Joseph the Giants have lost 2-way players in both positions, they were both capable against the run and the pass, not easily replaced, and if they are replaced are they replaced by similar 2 way players or will the Giants have to use 2 players (one for run and one for pass)in both instances to adequately fill both positions. I do agree with a 4th round selection (hold your breath Giants fans when JR makes his fourth round selection) of a WR, this pick has to be a WR who can stretch the field and have the speed to get behind safeties. For the 5th I go LB and Center and for the 6th I go DT. All this assumes or hopes JR’s cluster of possible picks for each draft round selection indeed has the BPA matching the needs as I see them. You’re comments certainly make sense, as the Giants have a number of holes that could be filled in an assortment of ways. With that being said, the offense is severally lacking on offense in regard to star power for Eli Manning in the passing game. Tight End is now a crucial position to fill with a playmaker more so than in years past, and if he gets to 12, it will be hard for Jerry Reese to pass up on him. The Giants at this moment of time are unlikely to draft a LT with their 1st round pick after all the additions on the line and the number of other holes needing to be filled before the season. The three top tackles could very well be gone before their pick (Matthews, Robinson, Lewan) anyway, and the next top prospect (Martin) isn’t worthy of an early-mid round selection. DT is arguably the biggest need on defense, and it will be imperative to select a player who can be a game changer on the front opposite of Cullen Jenkins and Jonathan Hankins. Thanks for your comment! Christian, I am hedging my bets and hoping that Matthews or Lewan will still be around for Selection #12 in the 1st round, if so, I grab one of them. I don’t underestimate the value and upside potential of Ebron as a first round selection, I just believe that for this year the Giants can go with a ‘stop-gap’ approach at TE with the post-June FA wave. Yes, Eli lacks weapons, both Eli and Cruz must play at a Pro Bowl level all year. Whether Cruz can do so as a #1 receiver from the slot position or whether he has to move outside to be a #1 and JJ move into the slot to get him on the field, TC and staff must decide. I just believe the Giants must must go for a LT, one of the top 3, if they believe one of them has future pro bowl potential and can possibly be a 10-year fixture in the position, I don’t view the off-season moves affecting offensive tackle to be more than adding depth at this point. I am hoping the new OC can use the TE position horizontally in his attack and through the scheme get the TE open enough to keep the chains moving when needed, hence I believe the GMen might be able to get by with their holdovers and the addition of a stop-gap veteran. The big plays in my theory will have to come from the WR position and a healthy Wilson who would become a situational RB until he demonstrates health and overall improvement. I hold off on DT until the late rounds for a prospect. As I see it now, the Giants have a 4 person rotation at DT, however, on the outside at DE, I only see 3 guys and I believe they need a 4th person that can make an impact immediately. With the addition of Robert Ayers, there is slim-to-no chance the Giants spend their 12th pick on a defensive end unless their last name is Clowney. Jerry Reese will be looking to buff up the offense in the first round with either Ebron or Evans at this point. With that being said, I could see Aaron Donald being the selection if he is clearly the top player on their big board. Thanks for the comment. I not sure if the Giants going to draft DT Timmy Jernigan he could be a 1st round pick. I would like to see the Giants draft Jordan Matthews in day 2 instead of Matravis Bryant out of Clemson he drop passes I don’t want him on my team. With the Giants lacking talent amongst the offensive side of the football, it is very unlikely the team will draft defensive linemen the first five picks in May. Look for an offensive weapon (or two) on Day 1 or early Day 2.